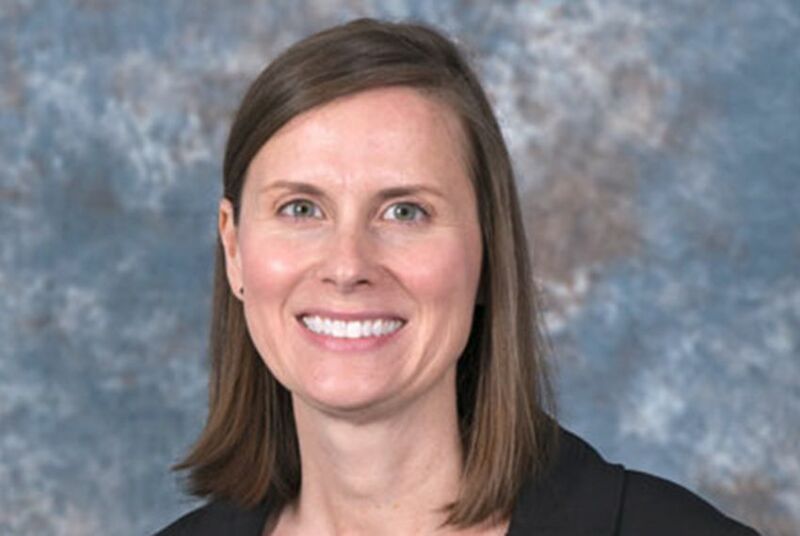 In this week's Q&A, we interview Jennifer Sanner, assistant professor with the School of Nursing at the University of Texas Health Science Center at Houston (UTHealth). Dr. Jennifer Sanner is an assistant professor with the School of Nursing at the University of Texas Health Science Center at Houston (UTHealth). Sanner was recently awarded $3.5 million from the University of Texas System to develop a health biobank, an initiative that will be accessible for all of the system's campuses in the state. Trib+Health: Can you briefly explain what a health biobank is, and what an overview of the operation looks like? Jennifer Sanner: We collect large collections of biological samples and data from diverse patients and populations, and we primarily collect tissue, blood samples and any related data to a patient's age, race and gender. Some patients give us permission to provide their samples of data to us with the understanding we plan to share it with other researchers. We're working to create policies and procedures that allow researchers access to this rich amount of data, and we have found that this leads to a much larger amount of researchers using this information to impact more patients in a quicker way. People think a biobank is a freezer, but it isn't just necessarily the freezer. Trib+Health: What motivated the $3.5 million award you received from the UT System supporting a new biobank initiative? Sanner: Across the system, you'll find there are many biobanks that are primarily banks of samples of data that one researcher or group of researchers decided to bank. The problem with that is it's often only the person who collected the data who knows about it. If they're open to the idea of sharing the data with other researchers, there's no good way right now to figure out who could benefit from this type of data that may already be stored. When we started talking to researchers across the different campuses, we found that was the case. There are a lot of small sample and data collections that can be shared with others if the patients have given permission, but there's no real infrastructure in place to let researchers know this data exists. If they do know about it, the issue becomes how to actually get it to the researchers, especially across institutions. The thought was we could work together in a collaborative way and create the infrastructure, knowing that all this data with samples are already there. I could be here in Houston looking for samples on a rare condition and not be able to locate any, but as it turns out, there's some sitting at UT Southwestern or any of the other institutions. There's just no good way to find them right now and then actually gain access. The second half of that is we actually plan to work together moving forward to think about what kinds of samples and data we want to continue to collect, with the idea of making it to share it. What do researchers still need that's not out there? What do we still need to understand as far as impacting patient care? What populations haven't been represented before that we need to target now? Trib+Health: What potential does an established biobank bring in the medical and research worlds? Sanner: My area of research often focuses on depression and inflammation in patients with various heart and stroke diseases. One of the things that's been difficult is getting enough information on depression and some of its variables. But what I'm finding, for example, is there's a large psychiatric biobank with samples and depression data sitting in UT Southwestern, and I actually wasn't even aware it existed up until last week. All this data and samples exist, and it's open for sharing with researchers like myself. In setting up something like this, the goal is to make the samples of data come to me in an easier, faster and cheaper way so I can get a hold of that information I need. It will make me more competitive on grants I'm going for, it will increase the amount of research that's conducted and it will ultimately lead to better health care as we continue moving research forward. When you're an independent researcher, you have to find the funding, go out and collect samples and data yourself. Years can go by before you're even looking at your data. If the data is already there and you can get access to that, it brings the research to the patient much faster. Trib+Health: When do you anticipate a fully established biobank from this initiative, and what's the projected timeline for when researchers across the system will be able to completely utilize it? Sanner: We are working with a three-year window right now. Those three years will allow us to set up an infrastructure, but that's really occurring within the first year. We anticipate being able to have identified and implemented the software that would allow a researcher at UTMB to get into the software and query across campuses within the first year. Going into year two and three, we will start to look at what data we might target and what parts we might go after in terms of growing our biobank. That first year is just a matter of identifying data and setting up the infrastructure. Trib+Health: Is there anything you would like to add? Sanner: This is a collaborative effort across the institutions. We're leading the initiative here in Houston, but it's really an effort from other institutions and biobanks. It's been a lot of work, and as it turns out, we have a lot of experts in the biobanking world. Pulling them together, we hope to do great things.